I had stayed away from electronic kid's books thus far because I wasn't sure how I felt about them. I feel like kids need that authentic experience of touching the books, physically holding them and turning the pages. I think that it is easier to engage in the book by having it physically in their grasp and feeling the pages and you just don't get that same feeling from holding an iPad. 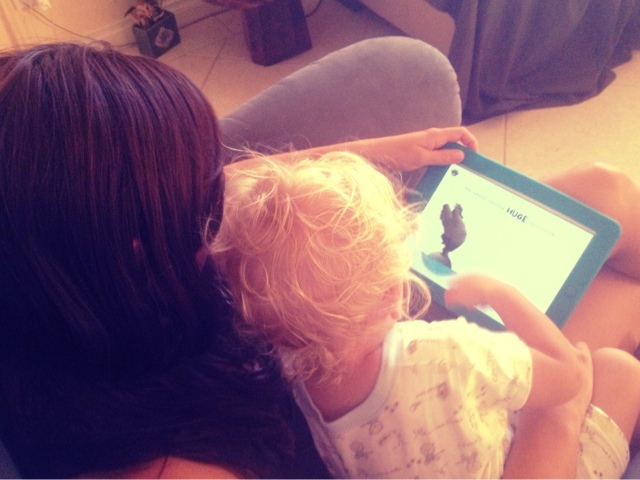 I didn't want to start an iPad addiction for my toddler too early in life, or have to share my iPad with him!! Then, the other day I decided to try out some electronic kids books and made a couple of purchases. I pretty much only read books on my phone or iPad these days, I can't remember the last time I bought a hardback, and so it got me thinking about kids books again. I thought because we were going to be going on another plane trip this week (a 5 hour one eeeek), it might be worth investing in some. 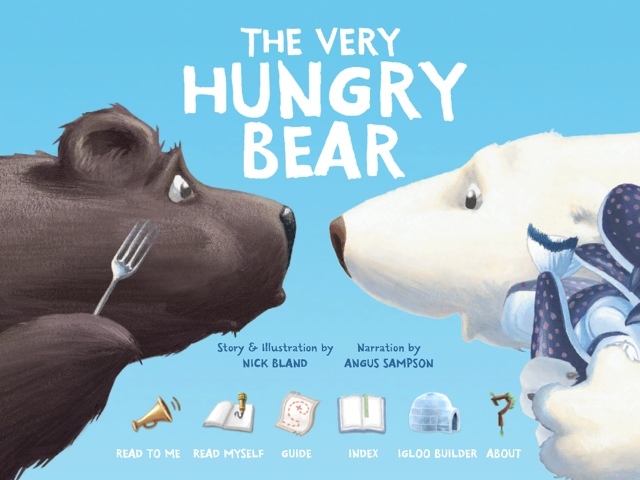 So, I looked up one of my favourite kids authors, Nick Bland, the guy who wrote The Very Cranky Bear (my favourite kids book!!!). I found that there are some really cool versions of his books as iPad apps. I bought The Very Hungry Bear, and The Wrong Book. I love that they are narrated by Aussie comedians, they are interactive, Ezra spends most of the time touching the screen to make things happen and he really loves them too. You can also record and play back your own voice (handy for FIFO families), and they are just fun. They are easy to pull out at a Dr's waiting room to subdue a wild toddler, or if you are travelling and don't have lots of room for books, I read Fox in Sox twice a day for a week when we were in Broome, because it was the only book we brought, and it drove me batty. So, I guess the E-books have won me over. I still don't want to use them exclusively, I love real paper books. But, I definitely see the value in E-books for kids, and the cost savings is also massive. The electronic age that we are living in probably means that when Ezra and kids of his generation are older, they wont be reading physical books, or writing very often on paper. They will be relying almost entirely on a device that hasn't even been invented or imagined yet. So, teaching them young to use electronics is not a bad thing, as they will need to be able to adapt and be prepared to use them when they are at school, I feel it is just another part of adding value to their development. 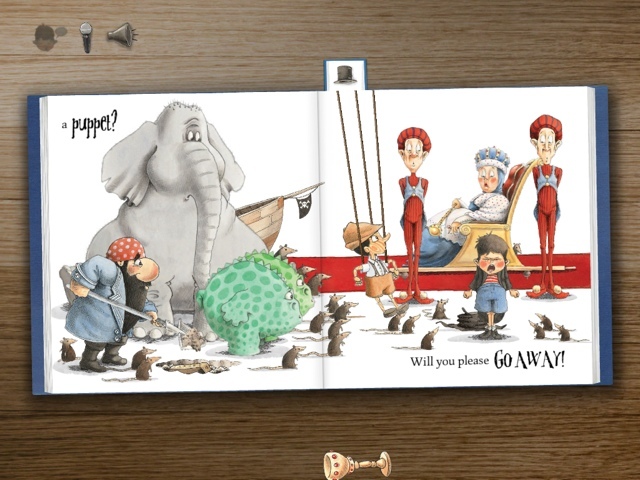 Have you gotten into Electronic books for kids yet, or how do you feel about them? If you have any good recommendations I would love to hear them too! And of course linking up with Jess @ Essentially Jess for #IBOT today!! 13 comments on "Won over by E-Books for Kids"
I haven't gotten any E-books for kids on the iPad but I really should. Mia loves her books (not just to look through but chew as well!) and she loves the iPad, I have a bunch if apps for her to use and she knows how to get in and out of them so e-books is the next logical step, don't know why I didn't think of it before. Ill definitely be looking up the ones you've mentioned. I really like books and bookshelves full of gorgeous well read books. My daughter has got some stories on her leap pad which she loves. I haven't tried any ebooks yet but I will definitely check the ones you mentioned out! We have very limited ipad time and already its hold on Toddler C scares me a bit...he looks at real books and tries to move the illustrations. So he would probably love ebooks! I haven't done it yet, though I have considered it because our book shelves are overflowing. My eldest is ten this year, and we're thinking of getting her a kobo for her birthday, because you can link them with the public library, but you don't actually have to visit the library. Plus the books are so much cheaper!! 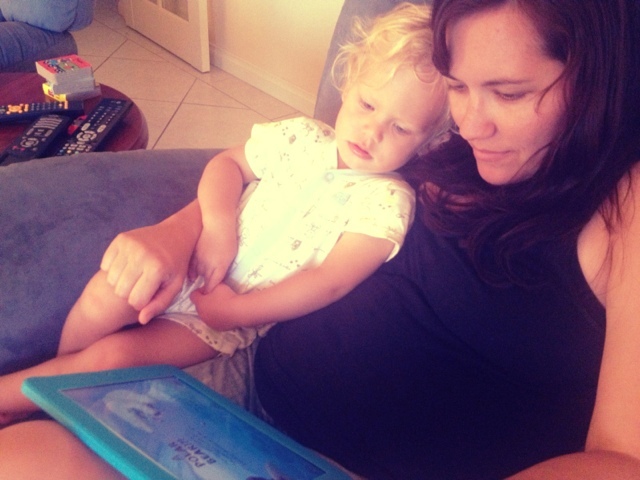 We are massive fans of e-books of the little man, it means we can take our favourite books anywhere. I still think that having real books is important and they are always our first port of call but it' so great to have our favourite books at hand on my tablet or phone for when we travel or are stuck in the waiting room at the doctors etc. It is amazing how quickly they figure out how to work electronics! You'll love these books, they are soo cute, and they have a really good message too! I have so many bookshelves full of books, I love them, but I just can't justify the price tag of many of them anymore, for me, when Kindle or E-books are so much cheaper! They do get obsessed with ipads pretty quick! i've noticed it too. But we have pretty limited TV and iPad time, and I think that Ebooks are better than a lot of the games for kids! In our old house, with limited storage I felt I was getting overrun with books I would never read again!! I have never heard of a Kobo, I'll have to look it up, sounds good though if it links to the library, because I'm always the one with overdue library book fees. It gives you an extra 10 minutes of peace and quiet before they get bored!! I'm hoping it will occupy Ezra for 5 hours on the plane, but I'm not holding my breath!! I'll have to check some out. Love this post, thanks. I haven't gone there yet - similar reservations to those you've listed - and I also haven't embraced the technology for myself. I love to hold the book, turn the page, and am sick of looking at screens all the time. But... I'll cave. I know I will! And the interactivity sounds great. Thanks for the info.